One of the centers of henna use in late Bronze Age was the perfume Industry of Mycenaean Pylos. The texts translated from Linear B from the burning of the palace in Pylos contain mentions of henna which have perplexed Classicists. In particular, they found it difficult to interpret the meaning of, “The red which is not red,” and “the perfume that has no fragrance.” Thirty three years after Cynthia Shelmerdine wrote the “Perfume Industry of Mycenaean Pylos,” Catherine Cartwright-Jones PhD proposes an answer to that conundrum. Rainwash is a simple treatment to remove mineral build up from the hair and help improve the uptake of the natural plant dyes. We recommend it before any Ancient Sunrise application for the best results. Ancient Sunrise Blog: "Gender, Race, and Class in Hair Styling Spaces: Constructing Individual and Group Identities"
Hair carries the weight of gender, class, and race. Women are told that short hair would make them look “manly” or “lesbian”. The opposite occurs for men who grow their hair long. Many white-collar workers see their hair as an investment in their professional success . African textured hair is especially political, and has a long and complicated history. When a person chooses to wear their hair in a way that falls outside of their social group’s norm, it is often interpreted as rebelling against the ideologies of that group. 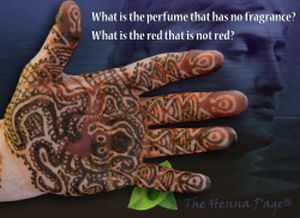 Please visit Mehandi.com on the web at http://www.mehandi.com . You can also find some of your favorite Ancient Sunrise products at Amazon.com [https://goo.gl/avLHWc] or on our Facebook social store [https://goo.gl/4utZfP].